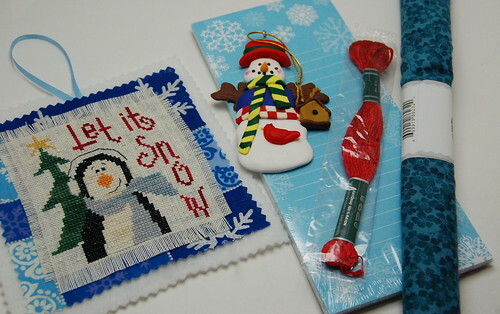 Nicole's Needlework: Gifts from Shelleen and Ruth! Gifts from Shelleen and Ruth! 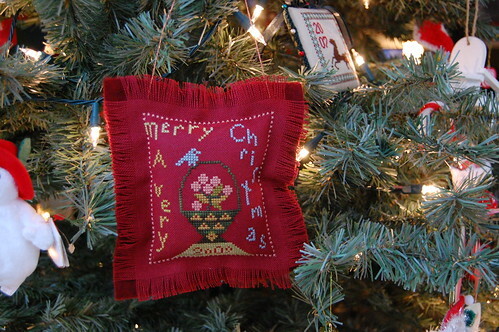 Ruth stitched two ornaments for me! They are both so sweet! Nicole, what lovely gifts. 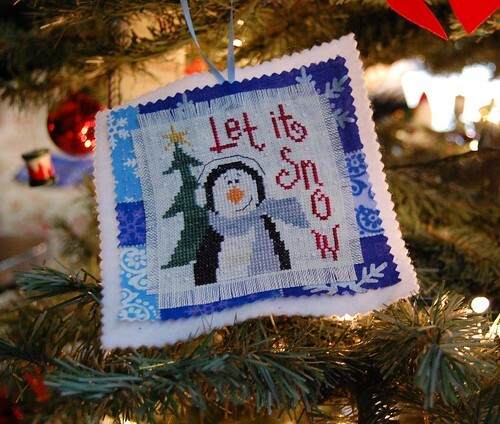 Stitched ornaments are wonderful keepsakes. What wonderful gifts! Enjoy them! Nicole - what wonderful gifts to receive!! I'm sure you'll enjoy those ornaments for many years to come. 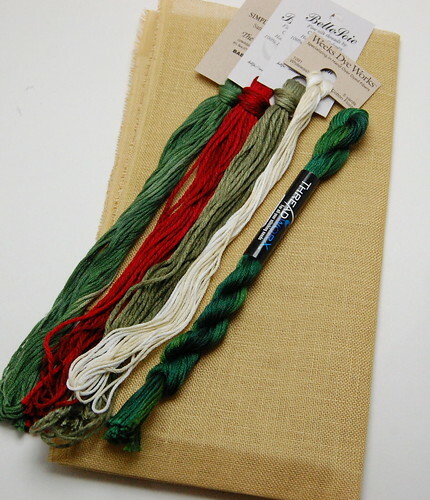 Wonderful, generous gifts! Love the flamingos! Great ornaments from Shelleen and Ruthie. love all of them. gotta love the pink flamingos! Mine hangs in my craft room right now. Watch your mailbox, another one is on its way to you from AZ. It is wonderful how you were spoilt by your friends. It is just marvellous . Nice gifts!!! 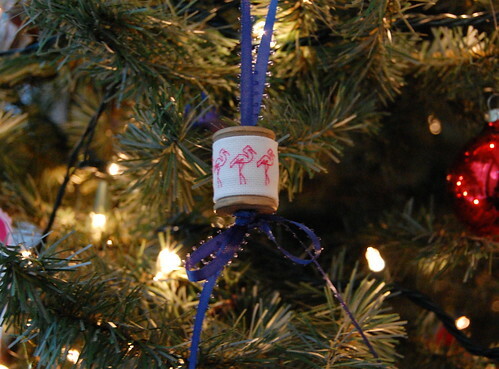 I always cherish ornaments, especially handmade ones. Hope you and your family are enjoying the holidays. What fantastic gifts!! Lucky you. Love the finishing on them! Those are such wonderful gifts!! What cute ornaments. They're so festive. I love getting stitched ornaments, yours are great! !